Hello Monkton! Remember when being a toothless five-year-old captivated friends and family? When a lisp was considered precious and endearing? Doesn’t really work for adults in the Parkton area. Toothless smiles are embarrassing and lisps can make you self-conscious. But your days of capturing delighted looks and commanding a conversation may not be gone forever – even if you have missing teeth. Don’t keep your Monkton fans waiting any longer. It is time to find out what can be done to fill in those gaps and restore what you reveled in as a child – your sensational smile and a healthy self-image. Calling our Monkton office at 443-672-2548 is the first step out of the wings and onto the stage of a new life. 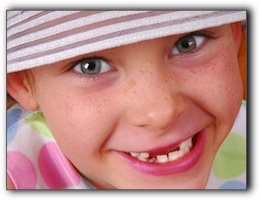 If you are missing teeth, have unbecoming gaps or are just not satisfied with your smile’s current state, the talented group at Hereford Dental Health – Craig Longenecker DDS in Monkton look forward to offering you the answers to all your critical smile makeover, dental restorations, and cosmetic dentistry questions. The cost of whole health dentistry and family dentistry in Monkton isn’t always easy to figure out. A simple consultation will bring not only clarity but hope that possibilities for restorative dentistry, porcelain veneers, or dental implants are well within your reach. Dr. Craig Longenecker is ready to end your stage fright and restore confidence at this stage in your life. We know we can’t stay children forever but don’t despair, YOU can still be captivating!